Australia is known as the home to bizarre and sometimes nightmarish species of animals. Now, not just one but thirteen new species of spiders were recently found in the northern tip of Queensland. A team of researchers and indigenous rangers led a ten-day expedition into the largely uncharted Cape York, where they found the new species. 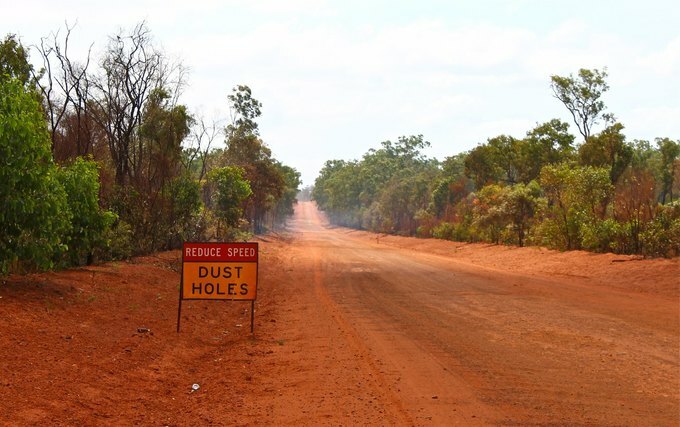 The project is part of a series called Bush Blitz and has help from the Australian government, BHP Billiton Sustainable Communities, and Earthwatch Australia. The landscape is very dry and termite mounds scatter the area. The team used abalone knives to cut into the hard earth, and later pen knives once they hit thinner burrows. This is where the spiders were found. A new species of trapdoor spider, a newly named mouse spider, and several varieties of tarantulas make up the roster. One teacher Leslie Carr went on the trip to bring back experiences for her students. She says, "There were ones as big as your hand, about 20 of them." Approximately 2000 people are bitten by Redback spiders each year in Australia. The Sydney funnel-web spider is the most dangerous spider in Australia. Their fangs can pierce through nails. Australia has more than 2,400 species of spider, but less than 50 of them pose a threat to humans.